I don’t know if you’ve ever flown by the seat of your pants when cooking (all the time, right? 😉 ) but this recipe is really a winner when it comes to having fresh ingredients on hand. 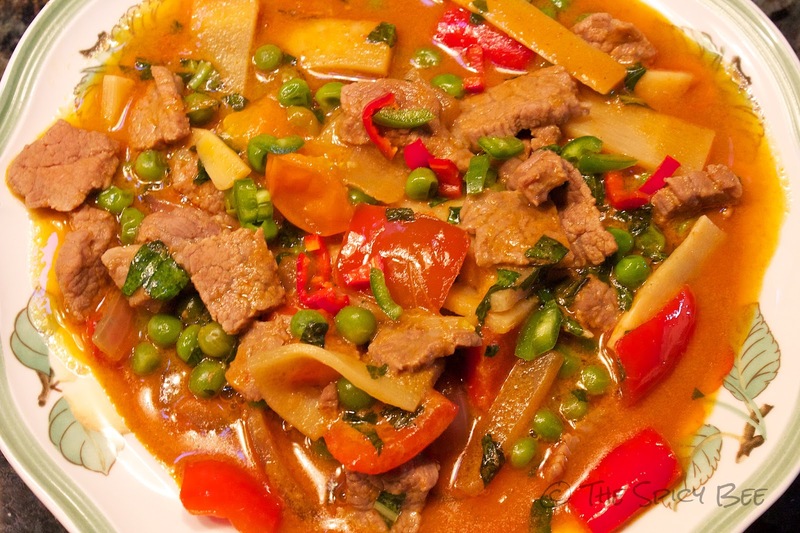 Ok, so maybe the peas were frozen and the bamboo shoots…I mean who gets those fresh I ask you!? Not I–but the peppers and tomatoes and onion were fresh–and you could add so much more! What other fresh ingredients would you have added to this recipe if you could? Get the whole recipe after the jump. Gather up your ingredients–things are going to fly! 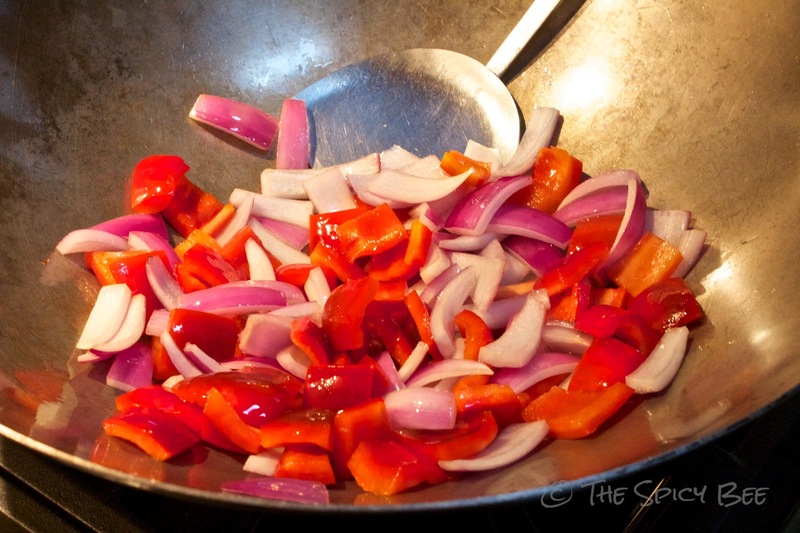 Saute red pepper and red onion in coconut oil on medium heat until onion is softened. Set aside. 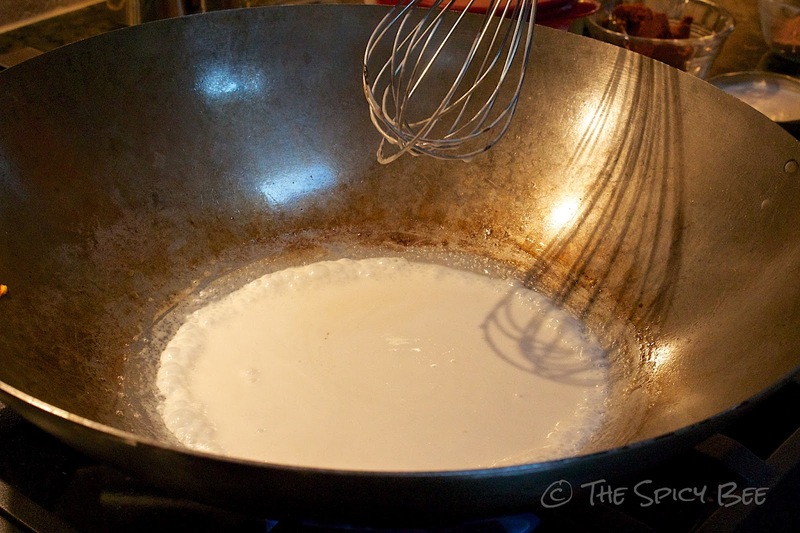 Put half of the thick coconut milk into a wok and fry for 3-5 minutes, stirring continuously, until the coconut oil begins to separate out. 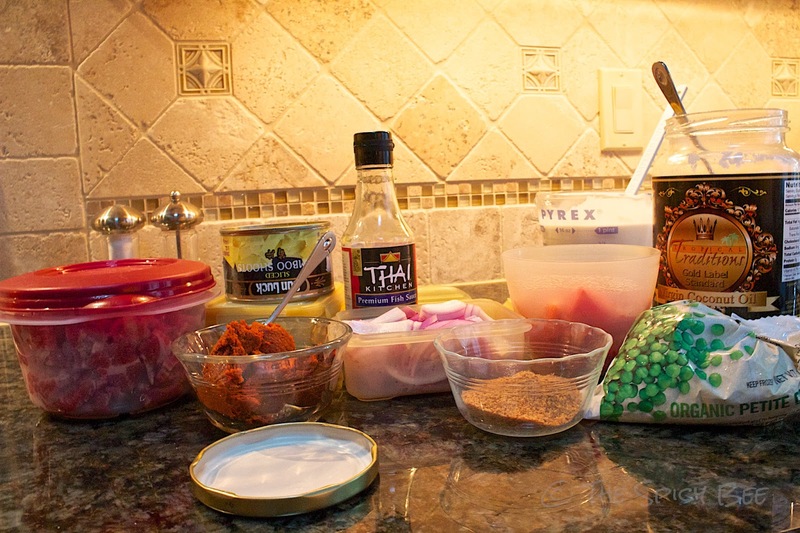 Then add the panang curry paste and fry for 1-2 minutes. Once the paste is cooked add the meat and cook until the outside of the meat is cooked. Then add the rest of the thick coconut milk and bring to the boil. 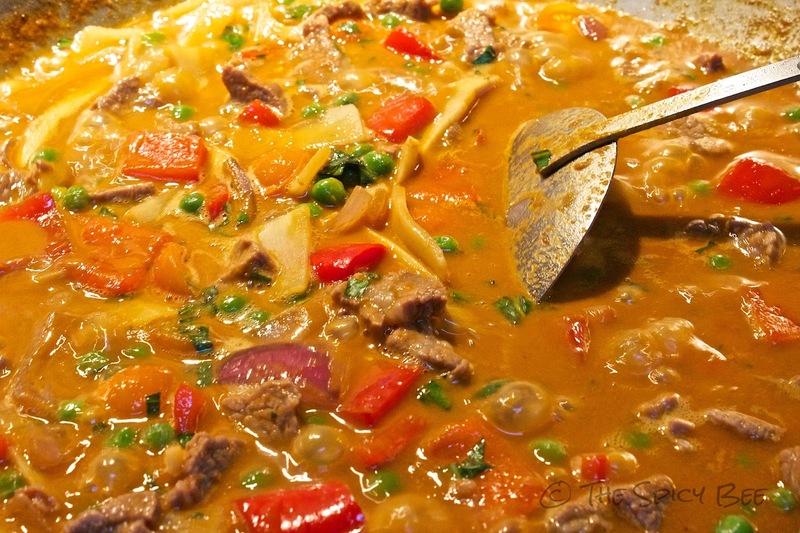 Add reserved peppers and onions, frozen peas and bamboo shoots. Simmer and add the palm sugar along the side of the wok until it melts and then and add the fish sauce and kaffir lime leaf pieces. 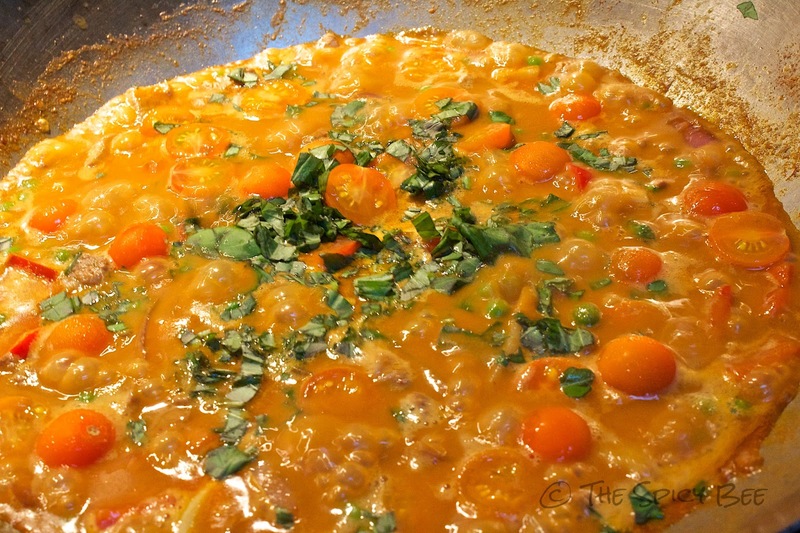 Stir to combine and then add the cherry tomatoes and half the basil leaves. Turn off the heat and serve garnished with the shredded kaffir lime leaves, red chillies, remaining basil leaves and remaining coconut milk. Top with ground peanuts (serves 4). Mmmm!!!!! LOVE me some curry! I’m going to have to try this one! I wonder if peanuts would be good in that?